Today the country is celebrating its 69th Republic Day. On this occasion, many good wishes of Republic Day to all readers on behalf of the team of Newsfolo. This time, ASEAN leaders will be the chief guest of the Republic Day. 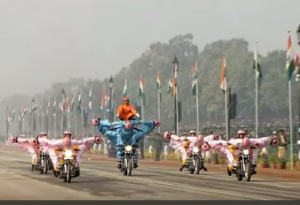 Unprecedented arrangements have been made to protect the 69th Republic Day celebrations in the national capital. At the same time, Prime Minister Narendra Modi gave Republicans the best wishes of Republic Day. All preparations for today’s parade have been completed. 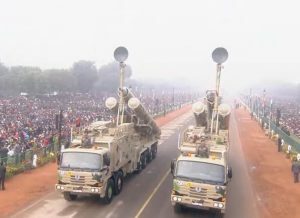 It is being told that the Parade of the Republic Day of 2018 will last for about 90 minutes. In this parade, the military strength and cultural heritage of the country will be seen together. This is the first time in the history of India that 10 leaders of ASEAN countries will be the chief guests and therefore their flag, their culture will also be seen in the parade. This is happening for the first time when ASEAN heads of ten countries are our guests, this time their flag is also getting special honor. India’s military strength T-90 tank will also be seen and the long-range killer DRDO’s fearless missile will also be there. Navy will also be seen with his aircraft carrier Vikrant. At the same time, the air force’s panoramic view of the indigenous. 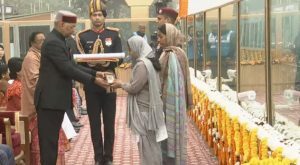 10:08 PM – India’s highest peacetime military decoration, Ashok Chakra, Awarded posthumously to Corp. Jyoti Prakash Nirala of IAF. Prakash Nirala made the supreme sacrifice in Bandipora encounter with terrorists in Jammu and Kashmir. 11:10 AM – 115 students of Sarvodhya Vidhyalya perform the dance Depicting Brotherhood. 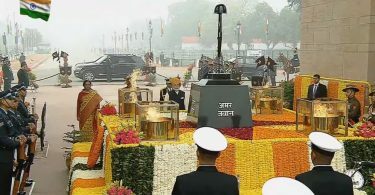 11:25 AM – Motorcycle salute to President, 106 riders and 26 Bikes, Seema Bhawani The All women team, led by sub-inspector Stanzin Naryang, make Proud to our country.